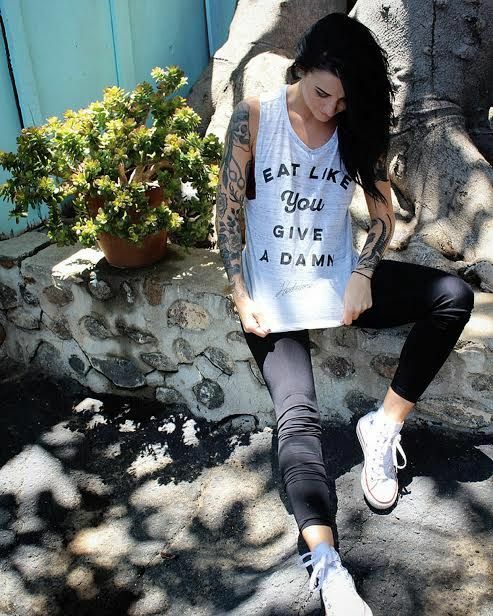 This week, the Eat Like You Give A Damn Women's Muscle Tank is on sale for only $25! This classic message never goes out of style. When you decide to Eat Like You Give A Damn, you choose to actively care for the planet, the animals, your health, where your food comes from, and every other issue related to what you eat. You treat all life with the same respect you give yourself. That kind of compassion is timeless. This super soft muscle tee shows off your values, and is the perfect top to get you through this hot summer! Throw this shirt on for your morning yoga class or work out routine and feel the comfort that comes with being totally and unapologetically yourself. Remember: it's good to give a damn.